Click here to Like our facebook page "Bug Hunters"
Click here to Follow on Twitter "The Techie"
Sharing regular articles on Software testing, Which will cover theoretical articles on testing tips, Some basics of software engineering, Manual testing, Recent testing tools and technology and much more. Sharing regular articles on Automation. Will try to cover all the basics of selenium and appium first. Also introduce some popular automation frameworks and tricks of automation. Let's automate things together. This is why everyone should follow this site. Will share regular technology update and news. So this site is not just for software testers, every techie person should follow this. Will keep our eyes on what big giants like Google, Microsoft, IBM, Intel, Amazon, Apple,Facebook are doing and changing the world. So stay updated. Will share interview questions on Software testing basics, Automation, Puzzles, Data Structure, Data Analytics and some tips. So Please follow this site, visit it regularly. Add to your bookmarks. 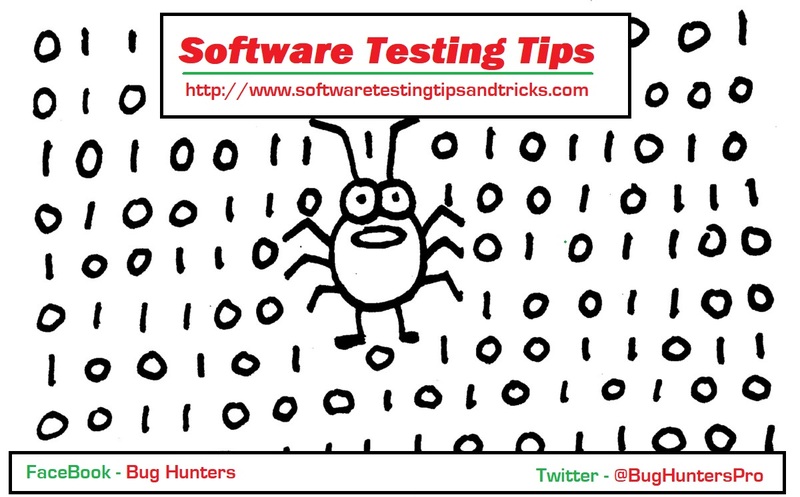 Keep testing, Make this world bug free. Great post, I learned something new and challenging on blogs. Waiting for more updates.